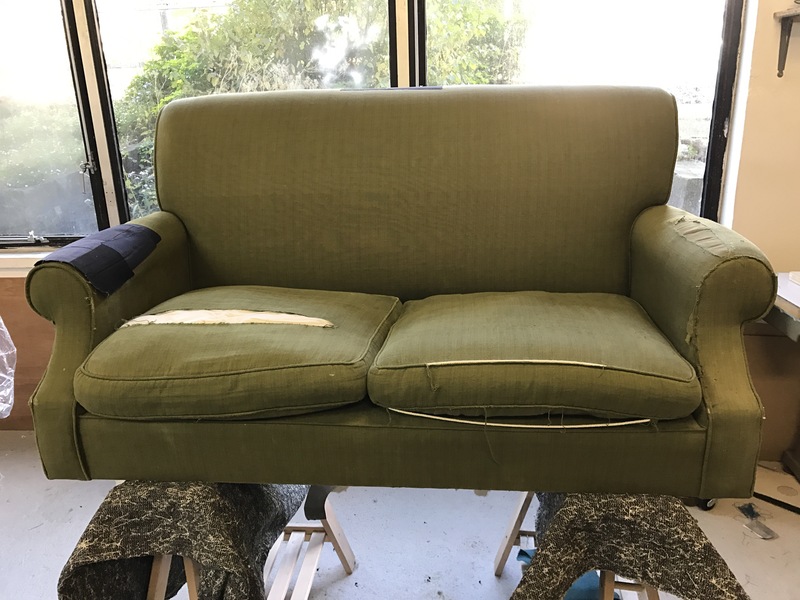 A while ago, some friends of friends asked me to reupholster their two seater sofa. They had bought it when they were first married about 20 years ago and it fitted perfectly in the front room of their cottage. It has been well loved over the years but needed some work. Now, I don’t tend to upholster modern sofas, but this one had a bit of story. The family were off on their holidays to the Scottish Isles and wanted to buy the fabric while on the Isle of Harris – the home of Harris Tweed. They have family connections with that part of the world and liked the idea of buying it straight from source! Here’s the well loved sofa, a little worn and patched, but a nice shape and with good strong bones underneath. Hard to see from the photos but there were lots of red, blue and yellow lines to line up! ready for outside back and arms to go on.. The sofa is now installed safely back in the cottage, its really comfy again and all ready for its second life! The bolt of fabric that was driven all the way from the Outer Hebrides to East Sussex was stamped with the orb mark of the Harris Tweed Authority. I added a little Harris Tweed label too…. You can find out more about the Isle of Harris and their famous Tweed. It was great to rescue this well loved piece of furniture, particularly as there are literally millions of sofas that end up in landfill. Every year, we throw away approximately 670,000 tonnes of furniture – this equates to 4.2 million discarded two seater sofas! If you’d like to know how to avoid sending your sofa to landfill, check out seven ways to keep our sofas out of landfill. Only one of the suggestions is re-upholstery – honest! 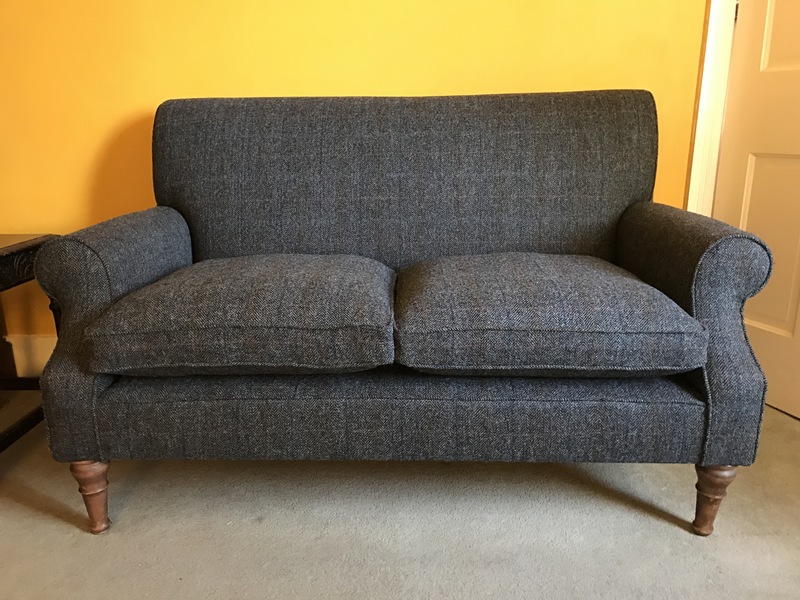 Posted in fabric, furniture, Uncategorized and tagged Brighton, Brightonandhove, harristweed, hebrides, isleofharris, NickiTarr, overcheck, saveyoursofafromlandfill, sofa, springupholstery, Sussex, tweed, upholstery on 26/11/2016 by Spring Upholstery.